In the past, providing web hosting for client websites is something I left to others. There have always been more than enough companies that provide inexpensive web hosting. But sadly, I’ve experienced first-hand a significant decline in the quality of infrastructure, customer service and technical support at most of the larger, well known hosting companies. When a client’s web server experiences poor performance or outages, it impacts that website’s effectiveness. I wanted to be able to offer my clients an optional, more trouble-free service at a comparable cost. 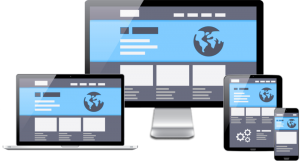 For websites created by Garnet Web Design, I have arrangements with a company of proven quality to provide web hosting and support. Because the normally higher costs for higher quality services are spread among multiple Garnet clients, the monthly hosting fee you pay (should you choose this option) is no more than typically charged by the larger, “brand name” shared web hosting companies. I will continue to support Garnet-created websites regardless of where they are hosted. This option is simply another way I can add value. Did you know that page loading speed is a ranking factor in Google’s algorithm for both desktop and mobile sites? Faster load times have been proven to improve your website’s search ranking. The web host plays an important role in the actual speed of a website.